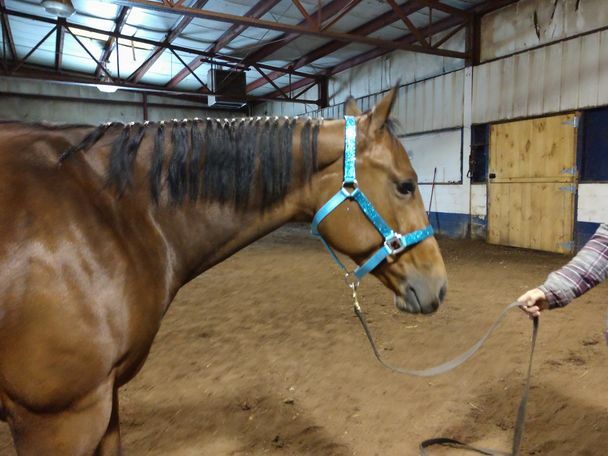 Super easy going mare that rides in the arena like a show horse and is quiet out on the trail! This girl has a wonderful pedigree with many top horses right on her papers! She rides around really nice and quiet. She definitely is an all around prospect. 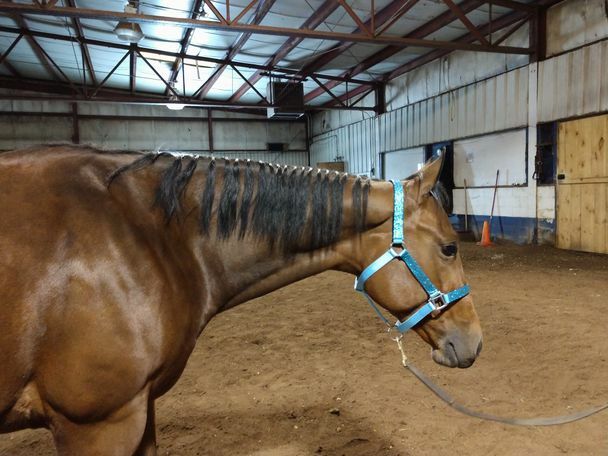 Would make a good youth horse also. 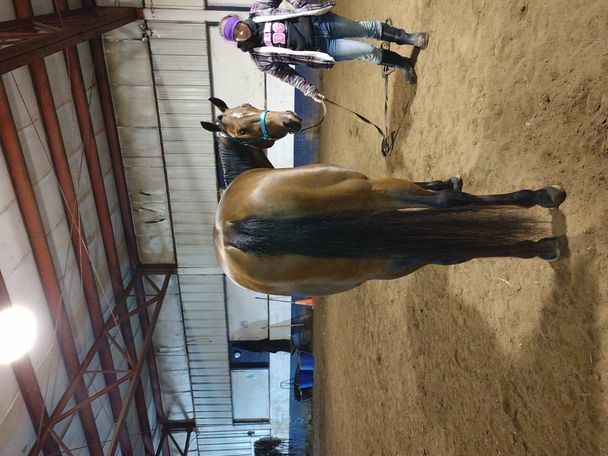 She is good in her stall or good outside with others. She likes to be pampered.